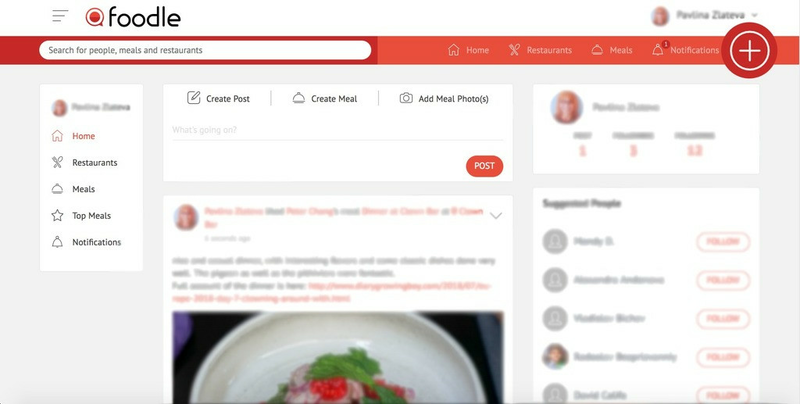 Foodle is an online community where you can connect with other food enthusiasts. It is the social medium of global diners where you can browse or share meals, or discover places to eat anywhere in the world. On Foodle, you can browse food photos, read about other members’ dining experiences, rate places you’ve visited, build a chronological journal, keep photos, and share your dining experiences with other food enthusiasts. In your News Feed, browse meals and fine dining experiences posted by other connoisseurs. Thus, you can discover a new menu to taste, a new restaurant to visit or just read unbiased opinions about restaurants and food, expressed by other food enthusiasts. It is easy to post a meal you have enjoyed in a restaurant, add photos and a description, rate it, and share it with other connoisseurs on Foodle as well as other social media. Has it ever happened to you that you went to this amazing restaurant three years ago and now you are not able to find the photos you took or even remember its name? Foodle will be your personal diary where you save any meal you have tasted or any dining expereince you have enjoyed. In addition, you can create a list of your Top Meals. If you are impressed by a restaurant and you want to visit it, find it on Foodle and add it to your Wishlist. Foodle’has a unique, comprehensive search engine which can be tailored to your needs. Find nearby restaurants or search by city or name. Filter your search by a rating system like Michelin, OAD, The World’s 50 Best or Tabelog. Is Foodle free to use? It is absolutely free to use. You can register with an email and password or login via Facebook or Google+. Should I register on Foodle to use it? 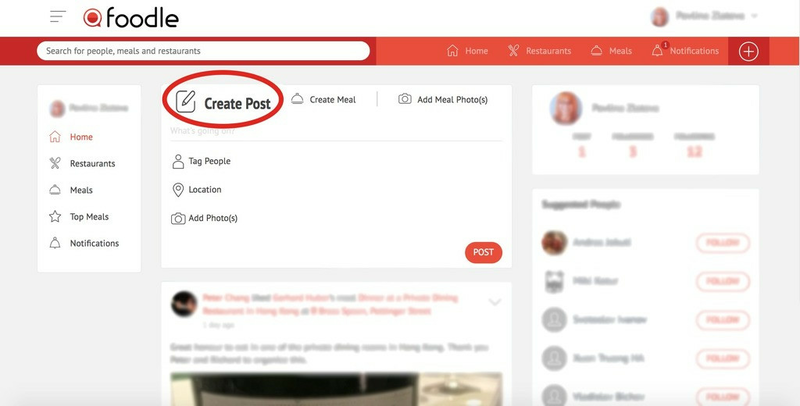 Only after you create a profile, you will be able to enjoy all the features of Foodle, interact with other foodies, and discover great meals and dining places. Can I edit my profile and settings after I register? You can change your general settings (including your password) as well as your privacy settings and manage your email notifications or deactivate your account. Should I follow many people on Foodle? Your News Feed consists of meals and posts created by other users as well as those you liked, commented on or shared. Therefore, the more people you follow and interact with, the more diverse and interesting your News Feed will be. How do I post on Foodle? When you click on Create Post, a text box and drop-down menu appear. You can tag people to your post, choose a restaurant and add photos. A meal is the album of your dining experience in a particular restaurant. 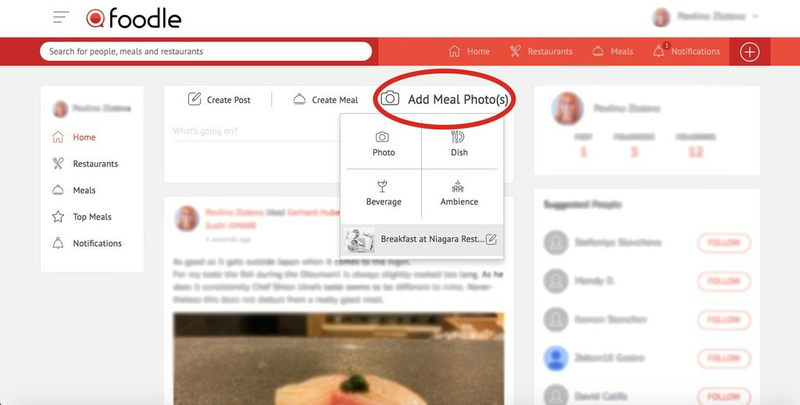 When you click on Create Meal, you first have to add a photo. Then you are redirected to a new page where you can choose a restaurant, add more photos and a description, classify your meal as breakfast, lunch or dinner, add a date, insert tags or tag other users, or rate your meal on a scale of 1 to 10. Lastly, save your meal as a draft or share it as a public post. To create a meal, you can also use the Plus Button in the top right corner of your home page. By clicking on Add Meal Photo(s), you can add a photo, dish, beverage or ambience to any of your meals. A Dish entry, for example, is a sub-album of your Meal where you share different photos of the same dish and add additional information to this entry - a title, description and rating. 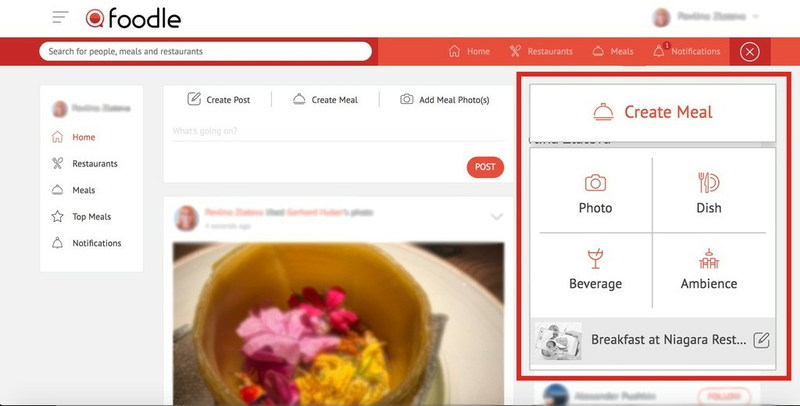 You can create a new meal as described above or add photos, dishes, beverages or ambience to already posted meals. Are my meals automatically posted when I create them? When you create a new meal or edit an existing meal, you have two options: to share your album with everybody (public) or save it as a draft (visible only to you). When you create a post, it is automatically shared when you click on the Post button. Can I edit or delete a meal? You can either delete or edit your meal including your description, photos, tags, dates, rating, category, or meal status. Should I write a description when I create a meal? It is up to you whether you want to add a description to your meal. Keep in mind, though, that most users find posts with descriptions much more interesting and useful. We also don’t like to write on phone screens, but we think of it as helping a fellow foodie to make the right choice about a dish or a dining place. Moreover, when people see a meal photo, they will be curious to know what this meal is. Is there a character limit for descriptions? The text limit for a meal description is 500 characters. Do you have any requirements to photos? We do not have any requirements to the photos you upload, but we do recommend that you use high quality images. We support .jpg and .png file formats. Once a photo is uploaded, it is automatically resized to up to 2,048 px width and 72 DPI. Height is automatically resized, and the aspect ratio is kept the same. Can I share meals and posts elsewhere? 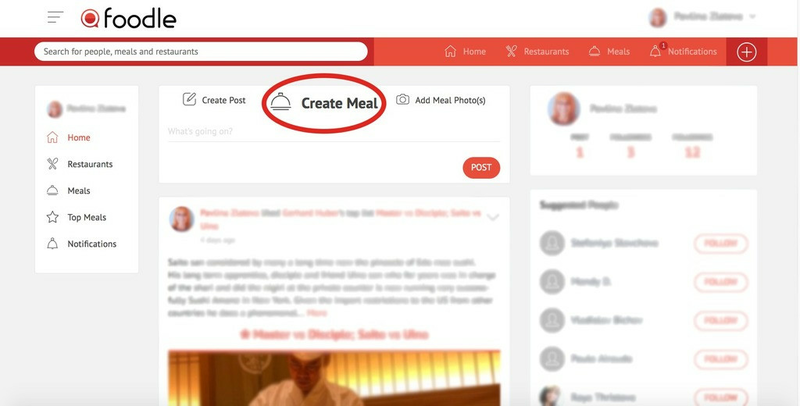 By clicking on the Share button, you can share Foodle meals and posts to Facebook and Twitter or get a code to embed the respective post elsewhere on the web. Can I comment on meals? We encourage you to comment on and/or like meals. You will see every meal you shared, commented on, or liked in your News Feed. How can I find a meal I have created? In your home menu, click on Meals. Then search through your albums by location, date, rating, status, awards, or top meals. How can I find a restaurant? Click on Restaurants and you will be redirected to a page where you can either find restaurants near your current location or apply different filters to your search, such as city, name, Foodle rating, Michelin, OAD, The World’s 50 Best and Tabelog awards, visited, wishlist or featured restaurants. How can I find people on Foodle? Use the search box in the top left corner. There you can find not only other Foodle members but also meals and restaurants. Can I share a link from another source? You can share links from other sources in your posts and meal descriptions. The links you share become clickable. Yes, absolutely. We encourage you to do so as all the foodies you share your video with will benefit from it. You can embed YouTube and Vimeo videos and they will play directly on Foodle. When I rate a restaurant, is my rating shared on Foodle? Your rating is shared on Foodle, unless you have ticked the Hide Rating box. In your privacy settings, choose what information you want to share with everyone or people you follow/following you. You can also keep your account private and not share it with anyone.